When Raine asked me to be part of her book release tour, I immediately said, "Hell yeah!" Then I realized, I'd never done a tour post from the blogger's point of view. But I didn't let that stop me. Why? Because this girl writes an amazing story, and I wanted a front row seat for her launch. That wasn’t the only reason he was so concerned about keeping up appearances in regards to his physical health, but he let it pass. He knew how the business worked. There was no way he was going to come out to the public about his shoulder. Not if there was an alternative. “What about another student?” Cole insisted. “Someone further along in their studies?” Preferably some Poindexter who doesn’t look so good in a skirt, he thought. They stopped conversing when Everly walked up with a tray. She placed their bowls of crab risotto in front of them, as well as Cole’s drink. The smell of the food was amazing. “Is there anything else I can get you two right now?” she asked. “No, I think we’re good here, thanks,” Wyatt said. This time she winked at Wyatt before she walked away. Cole couldn’t deny the strange resentment he felt that the wink wasn’t for him. He shook his head at himself. Finding a hot date hadn’t ever been a problem. He didn’t need to worry about that right now. “I feel like you’re forcing me into this decision,” he told Wyatt, picking up a fork and stabbing his risotto with it. Raine Thomas is the award-winning author of a bestselling series of YA fantasy/romance novels about the Estilorian plane, including the Daughters of Saraqael trilogy and the Firstborn trilogy. 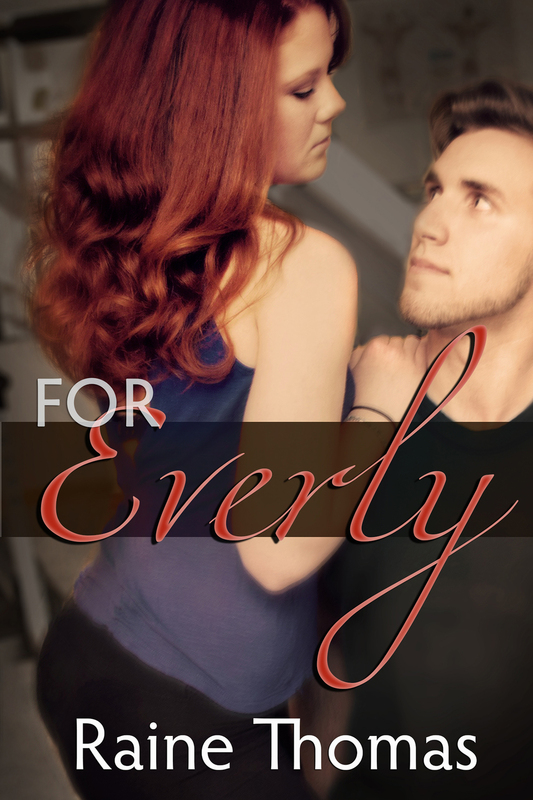 Her latest book is a New Adult Contemporary Romance titled For Everly. She is a proud member of Romance Writers of America and is a contributing blogger to The Writer's Voice. When she isn’t planning weddings, writing, or glued to social networking sites, she can usually be found on one of Florida’s beautiful beaches with her husband and daughter or crossing the border to visit with her Canadian friends and relatives. Oh...and what's a launch without prizes? Don't miss out on the goodies! Posted on June 8, 2013 by Erica Lucke Dean.